This kit is our "compact" Advanced Trauma Kit (IFAK) and the smallest, lightweight Advanced Trauma Kit on the market today. In our experience we understand whole heartedly the need for a much smaller footprint on an Advanced Trauma Kit regardless of your units uniform. This kit is a complete Trauma Kit with more advanced components than our similar but larger Patrol Pack. With this compact kit you can now mount it anywhere on a load bearing vest and only use a 4x6 footprint area. 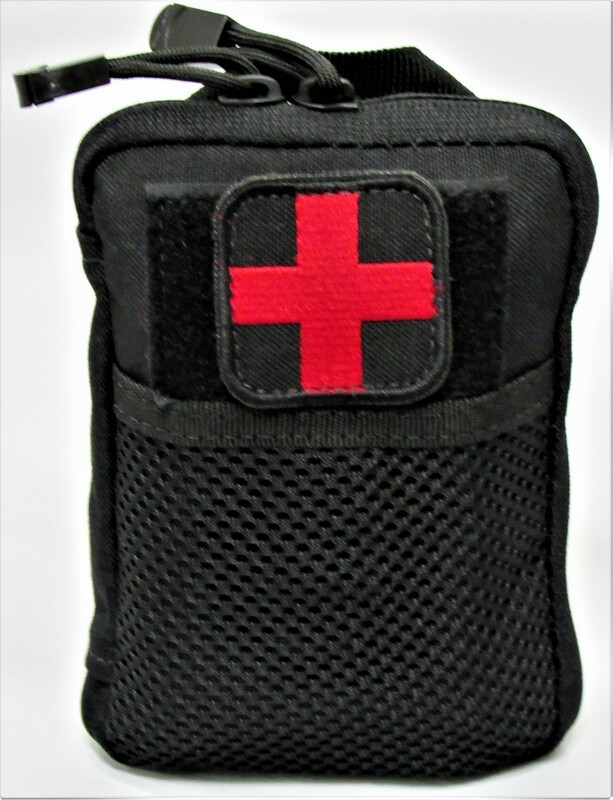 This compact kit can also be thrown in any go bag or active shooter kit in support of other officers or citizens that may become the arterial gunshot wounds or extreme hemmorhaging injuries. With its dual zippers it can be staged or mounted in a place that will maintain easy access for a one handed deployment because you never know where that round may strike.